Ultra Enhanced Red Borneo Kratom is a kratom strain that originates in Southeast Asia. The strain gets its name from the vein colors of the leaves. For years, farmers in Southeast Asia have been harvesting kratom leaves for its health benefits particularly pain relief. Over the years, Red Borneo gained its popularity among people who have difficulty sleeping. The high alkaloid content of Ultra Enhanced Red Borneo Kratom is responsible for this sedative effect. It also has mood-enhancing effects. Which Alkaloids Are Present in Ultra Enhanced Red Borneo Kratom? The Ultra Enhanced Red Borneo variety has alkaloids that can help your muscles relax. These alkaloids interact with the receptors in your brain, helping to “shut off" overactivity and induce a good night’s sleep. Because of the sedative properties of this strain, it can improve your sleep, or help you get in a relaxed state that makes it possible to go to sleep. This effect is beneficial to people who have anxiety and trouble sleeping. Kratom has anti-depressant effects. It can help those who need a good mood booster to make daily life bearable. Kratom has mild analgesic properties. It can be beneficial to those who are suffering from chronic pain. What makes it even better is that it’s a safe alternative to opioid drugs. Many Americans suffer from chronic pains and turn to opioids, but opiod dependency is becoming a serious problem. Red vein kratom offers mild pain relief but is not addictive. A kratom leaf, regardless of vein color, contains alkaloids. Mitragynine and 7-hydroxymitragynine are two major components. Thai kratom leaves, however, are known to hav ethe highest level of mitragynine. Other alkaloids are also present albeit in lesser amounts. The alkaloid contents on each leaf range from 1% to 9%, depending on vein color and place of origin. The recommended minimum dosage is 2 grams. High doses will cause side effects. These side effects may include nausea or dizziness. To experience the pain relieving properties, you can increase dosage gradually. For example, on day one, you can take 1 to 2 grams of the Ultra Enhanced Red Borneo Kratom. On the second day, you rotate it with other strains in your inventory. If you don’t have any other strain available for rotation, you can skip one day. You can increase the dosage by 1 gram each day until you find the dosage that suits you. A friendly reminder: do not exceed 9 grams. Kratom comes from Southeast Asian countries. The scientific name of the kratom plant is mitragynaspeciosa. The Ultra Enhanced Red Borneo Kratom originates from Thailand. The leaves are harvested from mature trees. Usually, these kratom trees grow naturally in the forest of Thailand and are harvested manually. However, the introduction of a sophisticated method of harvesting increased production. Today, farmers can harvest tons of kratom leaves with the highest levels of alkaloids. User feedback is generally positive. Users reported that red vein kratom has sedative properties when taken at the right dosage. They reported that red kratom can indeed cause muscles to relax minutes after taking some. 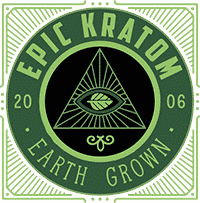 Ultra Enhanced Red Borneo Kratom’s analgesic effects also received praise, with some users suffering from migraine claiming that it enabled them to switch to a natural solution after years of using strong pharmaceutical pain relievers. Red borneo kratom does not completely cure migraine, but it helps with pain management. You can buy kratom products through online vendors or traditional stores. You can find these products almost anywhere except in six states: Alabama, Arkansas, Tennessee, Vermont, Wisconsin, and Indiana. You can buy kratom from gas stations, head or smoke shops and herbal stores. However, it’s difficult to find high-quality kratom in those stores. Your best alternative is to buy from online vendors with an established name and products that have been reviewed by other users. Some of them have been in the industry for decades and mastered the manufacturing standards that yield the highest quality kratom. We recommend visiting Coastline Kratom. You can choose from a variety of strains including White vein kratom, Maeng da kratom, red vein Borneo, and red vein indo. The Kratom extracts are available in the form of powders. Coastline Kratom has great customer service and offers a money back guarantee. Ultra Enhanced Red Borneo Kratom is a potent strain that can help you manage anxiety and overcome chronic pain given the right dosage.